Common Loon - Unity Park, Turner's Falls, Franklin Co., May 30th, 2016. Lingering around Barton Cove for about one week through to the end of May. 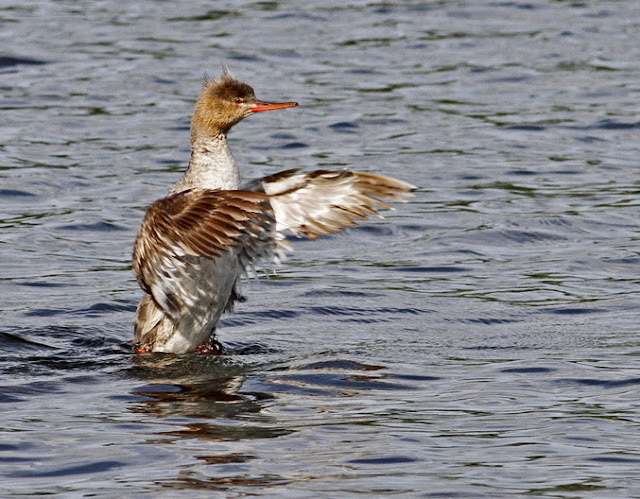 Red-breasted Merganser (female) - Unity Park, Turner's Falls, Franklin Co., May 30th, 2016. Unseasonal and unexpected at this location and date. 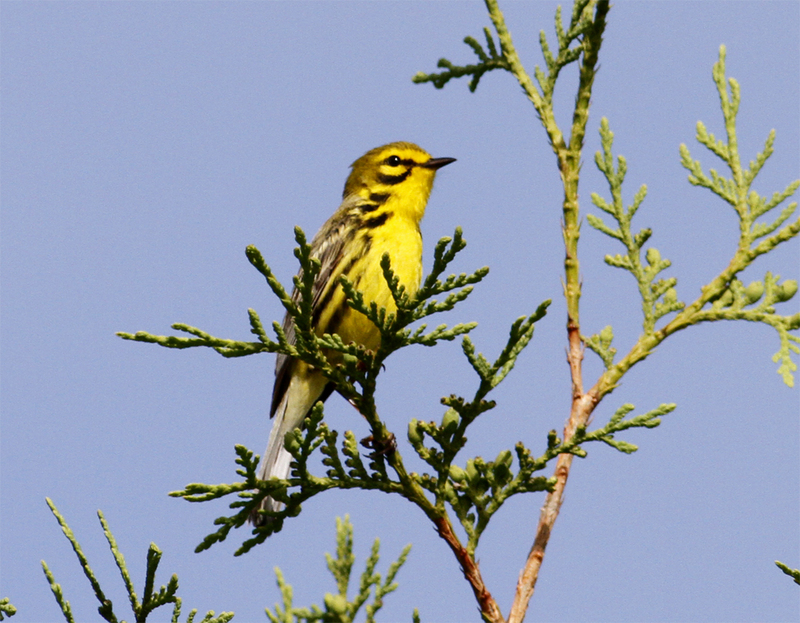 Prairie Warbler - Sudbury Tree Farm, Bernardston, Franklin Co., May 31st, 2016. Osprey - Unity Park, Turner's Falls, Franklin Co., May 27th, 2016. 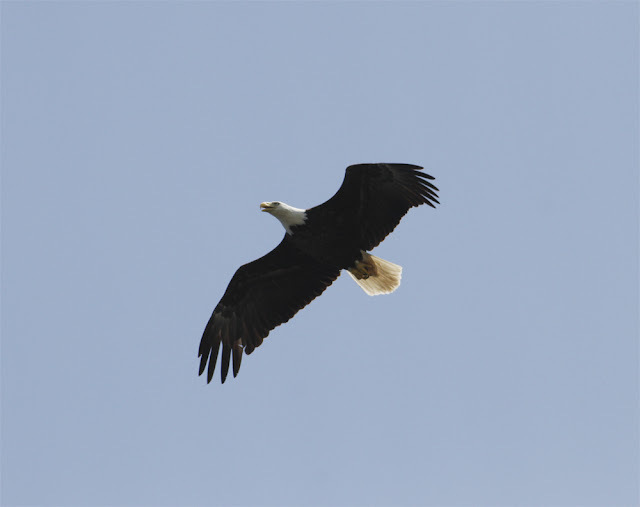 Bald Eagle - Unity Park, Turner's Falls, Franklin Co., May 30th, 2016. Everyday and easy to see at Unity Park especially in late afternoon. Chimney Swifts - Unity Park, Turner's Falls, Franklin Co., May 30th, 2016. Local breeders. 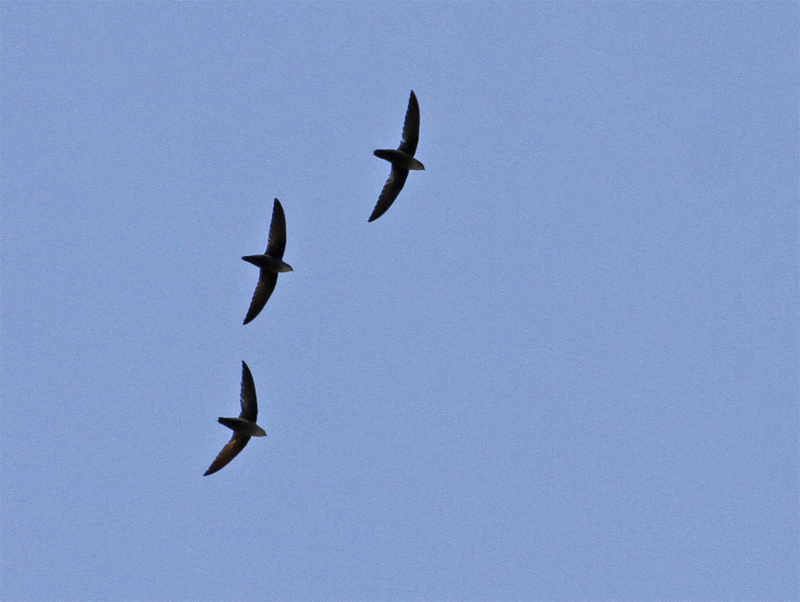 Locally, June 1st usually marks the end of the spring migration and the start of hot, sticky, summer months. The woods and fields around Gill have been filled with bird song over the last ten days or so with a huge variety of species too numerous to list here but particularly noteworthy have been good numbers of Yellow-throated Vireos, Louisiana Waterthrushes, Blue-winged Warblers and Purple Finches which can be heard over much Gill at the moment. And it seems to be another good spring for Yellow-billed and Black-billed Cuckoos both of which can be heard or seen most mornings in especially around North Cross Road and Boyle Road. 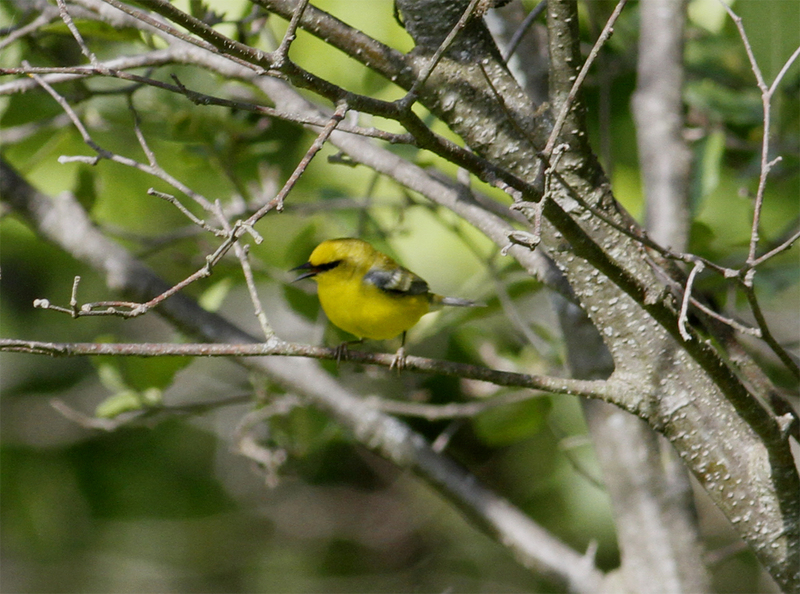 Blue-winged Warbler - North Cross Road, Gill, Franklin Co., May 31st, 2016. Late May brought a small 'wave' of boreal warblers to Gill including Blackpoll, Bay-breasted and a single Cape May between the 26th-28th but, as usual, I found myself listening for less expected species and found a few including an Eastern Meadowlark singing off Main Road just north of Upinngil Farm during the last week of May. This is quite a scarce species in Franklin County, and this particular bird was just my second in Gill after pair summered on the NMH campus in 2013. 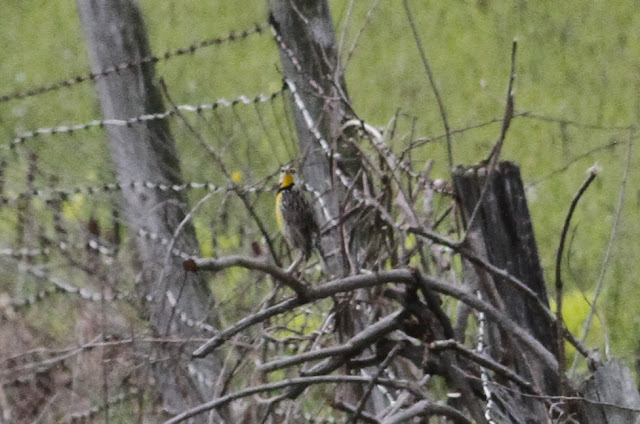 Eastern Meadowlark - off Main Road, Gill, Franklin Co., May 24th, 2016. 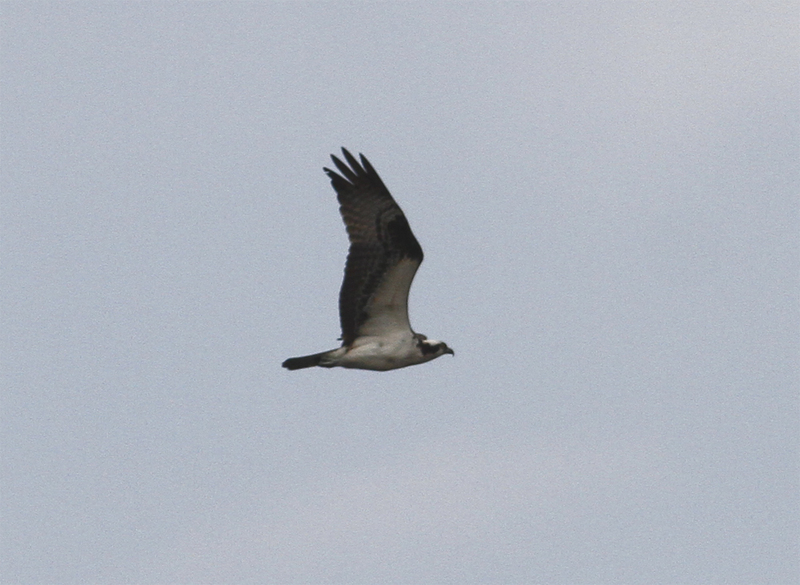 This vocal male sang for several days just north of Upinngil Farm through to the end of May. Also, slightly unexpected was a singing Prairie Warbler at the tree farm on the Gill/Bernardston townline just off West Gill Road. Although Prairie Warblers are easy to find along the powerline cut at Mountain Road in Gill, the Bernardston bird was the first that I've seen at the tree farm. On May 31st I saw a Cliff Swallow collecting mud for nest building at the Lily's Farm on Main Road, Gill, again highly unusual and the first that I've seen in Gill away from Barton Cove. Goodness only knows where Cliff Swallows are nesting in our area? Shorebirds have been few but with very low water levels at Barton Cove on the 25th, some 35 Least Sandipipers and 8 Semi-palmated Plovers appeared despite warm sunny conditions and a southerly breeze, hardly the poor weather that we normally associate with shorebird arrivals in 'the valley'. The birds were extremely difficult to see often remaining hidden within the folds of the distant sand-bars and best seen and counted when disturbed by the local raptors. Black Vulture - Turner's Falls, Franklin Co., May 26th, 2016. Seen in the Gill/Turner's Falls/Northfield area with increasing frequency since mid-February this year. At Turner's Falls I continue to be impressed by the consistency with which Black Vultures and Fish Crows can be seen in and over the town, with two pairs of Fish Crow nesting a Unity Park and a further six pair scattered around the town and residential areas. 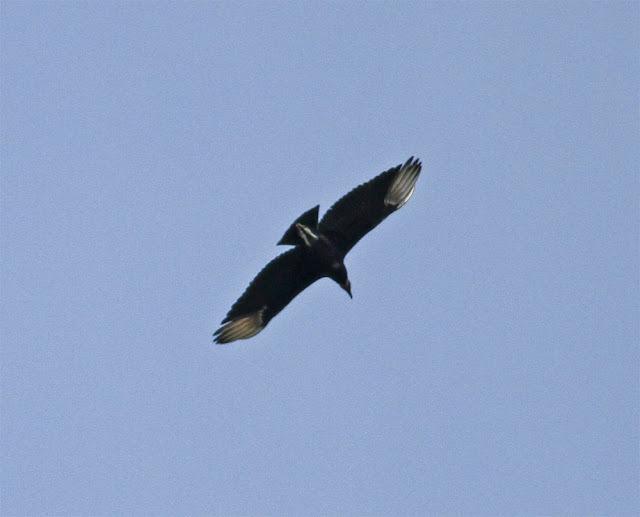 Black Vultures now appear every week with 1-3 periodically showing up around the local Turkey Vultures. It's hard to imagine that I only saw my first ever Black Vulture in Franklin County just one year ago, in May 2015. 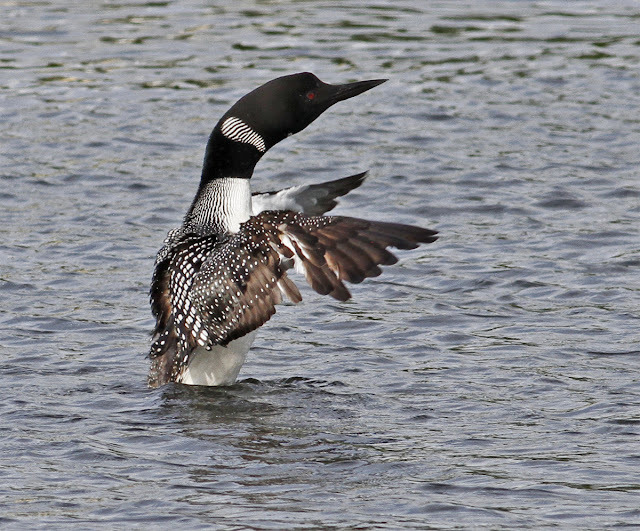 In terms of waterbirds, well Common Loon and Red-breasted Merganser were late spring visitors in the last few days of May but otherwise Unity Park and Barton Cove have been fairly quiet aside from a handful of Double-crested Cormorants and first-summer Ring-billed Gulls.